Its elliptical shape isn’t the only feature that makes the Premier 7338 a standout. Its uniquely engineered top deck directs water to cascade over the bathing well into a perimeter channel in the event of overfill. 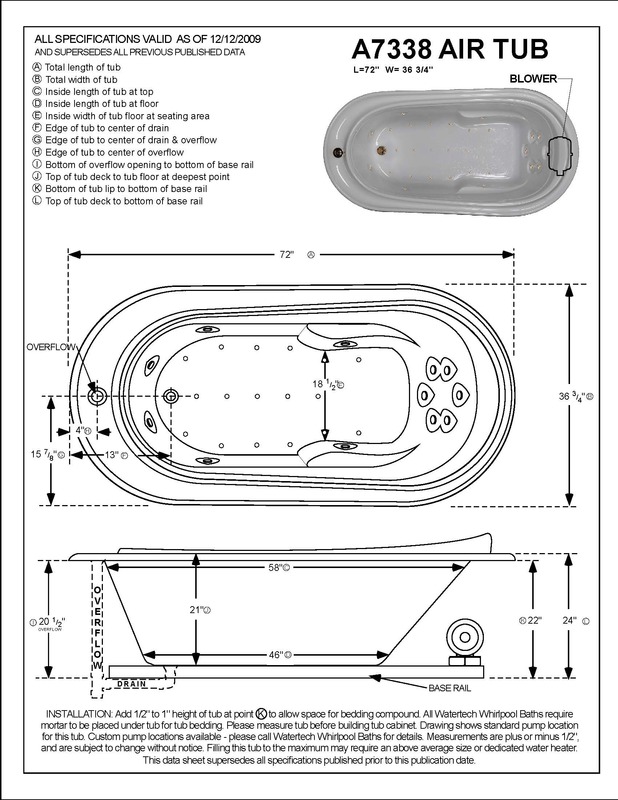 Our exclusive Top Overflow is included in the deck too, creating a tub you can fill to two inches from the top for maximum depth in a tub of its size. Six air jets are recessed and configured to reach every part of your back, while 23 more in the sides and floor hit other key areas of your body. All are powered by an 8-amp variable speed blower with heated air. 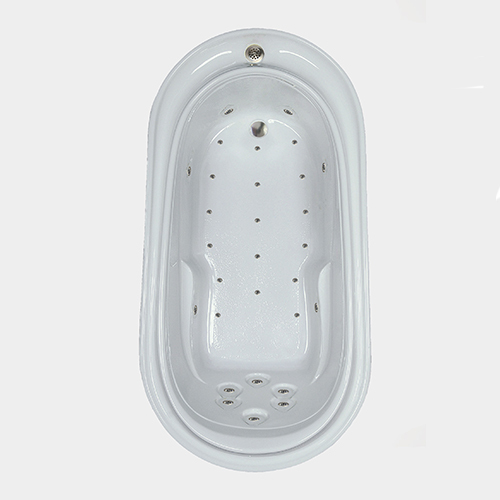 Arm and back rests, seamlessly integrated into the design of this tub, let you recline as you soak up the vitality of a luxurious bathing experience. A subtle texture on the vessel floor helps prevent slips. The Premier 7338’s elegant design will never go out of style. Neither will its inventive engineering.